Years ago, I remember watching a French movie about war. In all honesty, that’s about all I remember, except for this one scene in the middle of a snowy field with an officer in blue standing in the middle. The actors spoke in French, and being fluent in French myself, I followed along as best I could. What I didn’t quite catch, I would refer to the english subtitles in order to interpret. Because I was so focused on understanding what the characters were saying, I missed a lot of what was actually happening in the film. I do remember that it was amazing though. This week in A.P. World History, we were assigned group projects. My partners and I were assigned a prompt asking us to compare what our textbook told us about WWI to the song “Christmas in the Trenches” by John McCutcheon. As I listened to the song, I suddenly realized that the scene being set by the singer was one somewhat familiar to the movie I had seen years before, Joyeux Noel. This week, my research has helped me to understand why that movie was so amazing. I had no idea that it was reenacting the Christmas Truce of 1914, where soldiers on a battlefield during WWI called an unofficial truce for the holidays. At first I wondered why this was so important, until I looked up the lyrics to the song “Christmas in the Trenches”. In one line, the soldier narrating the song said “whose family have I fixed within my sights?”. I realized that the unofficial truce in the winter of 1914 had humanized the soldiers adversaries. Each fighter realized that their opponent had a family to return to, a home to go home to. It changed the aspect of the war considerably, which is why it is so famous. 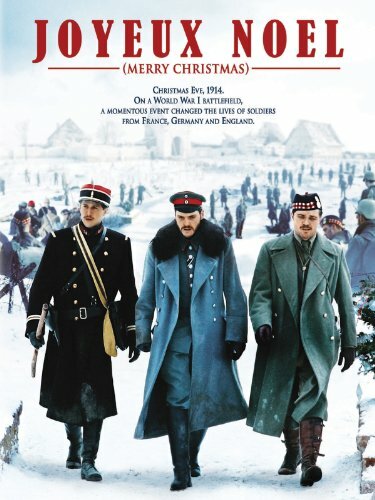 I plan on watching the movie Joyeux Noel again sometime soon. This time, with a better understanding of what is happening. The events that transpired in 1914 were remarkable, and against all odds. Hopefully this film will convey those feelings and emotions fairly. The Rolling Stone is Wrong. Part Four. I have a copy of this film if you would like to borrow it.